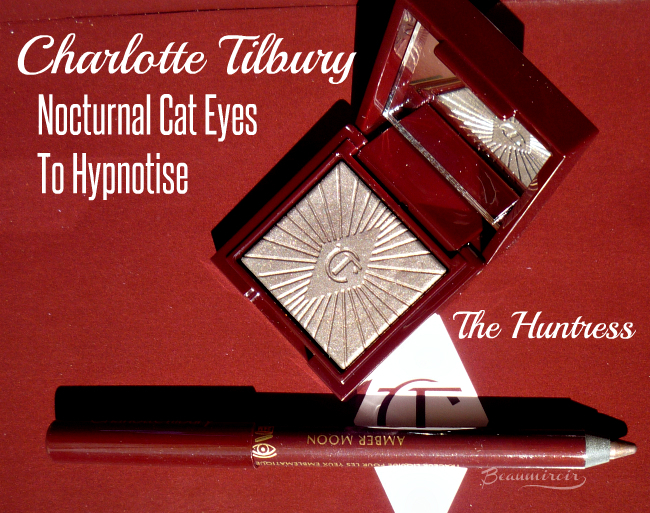 Seriously, how cool is the name of this set released by Charlotte Tilbury for the Holidays? 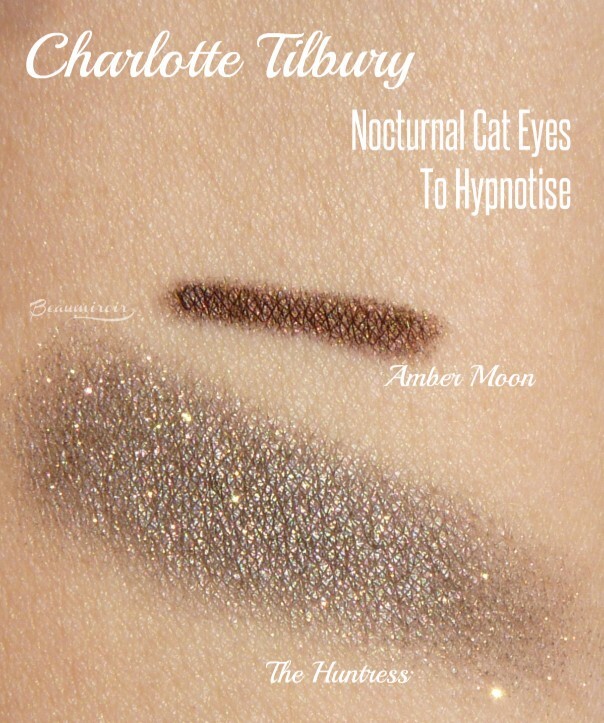 Nocturnal Cat Eyes To Hypnotise sounds fierce, mysterious, and yet comfortably familiar for a crazy-cat-lady like me. And yes, it's Hypnotise and not Hypnotize because Charlotte is British - someone tell my auto-corrector. This set with an eyeshadow and an eyeliner pencil comes in 4 different shade combos: On The Prowl, Midnight Seduction, Silver Leopard, and The Huntress, the one I picked. 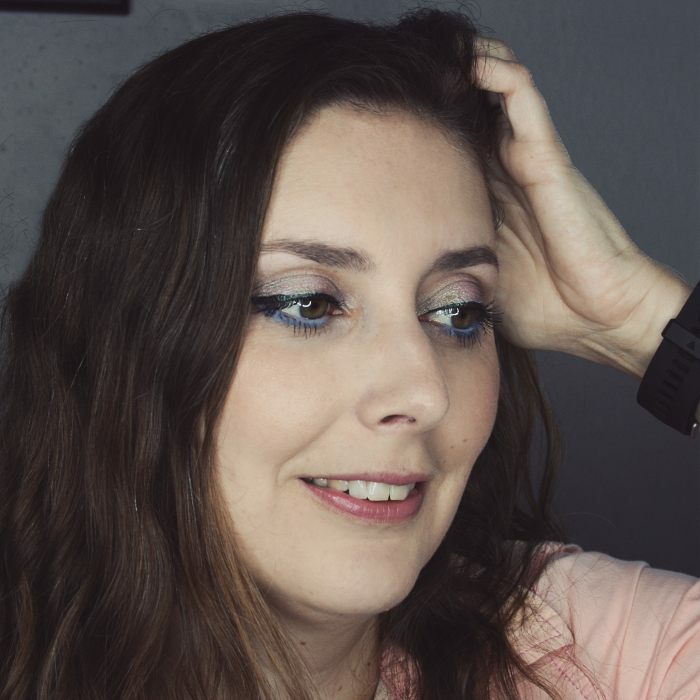 Here's what Charlotte has to say about this sets: "A super easy 2-step eye pencil and shadow duo to create hypnotic, sparkling smokey cat eyes that light up after dark." 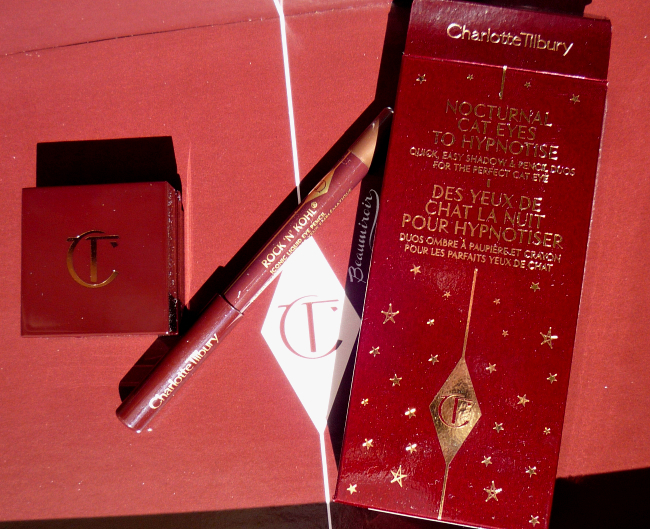 The first thing that struck me when I received my order (with super fast shipping and impressive packaging, directly from charlottetilbury.com) was how tiny the products looked. The eyeliner is your standard travel-size, a bit more than half the size of a regular pencil, but the eyeshadow looks so small I was shocked. It could almost pass for a sample. But then I looked at the weight, and the packaging says that it contains 2.5 g of eyeshadow - as a comparison, MAC eyeshadows are only 1.3 g. So, I don't know... maybe the pan is very deep? The shadow formula super heavy? This whole size/weight situation has me very perplexed: apparently, although it looks minuscule, it's actually huge. 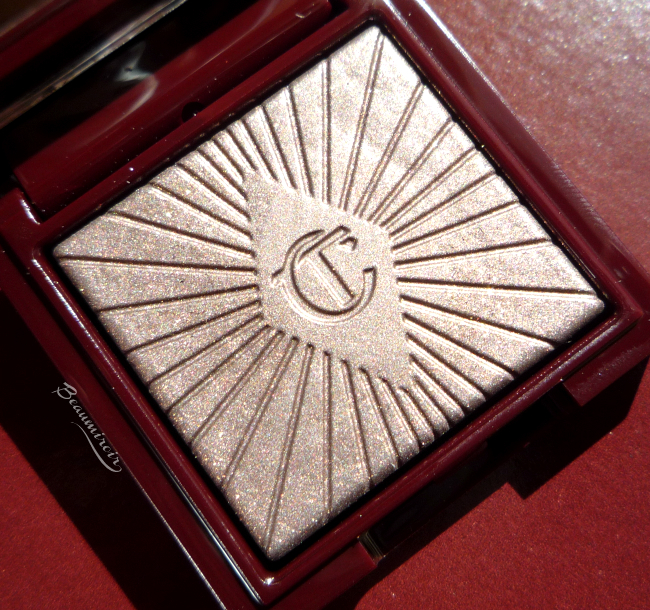 The eyeliner is Charlotte Tilbury's popular Rock 'n Kohl formula in a reflective warm brown shade called Amber Moon. 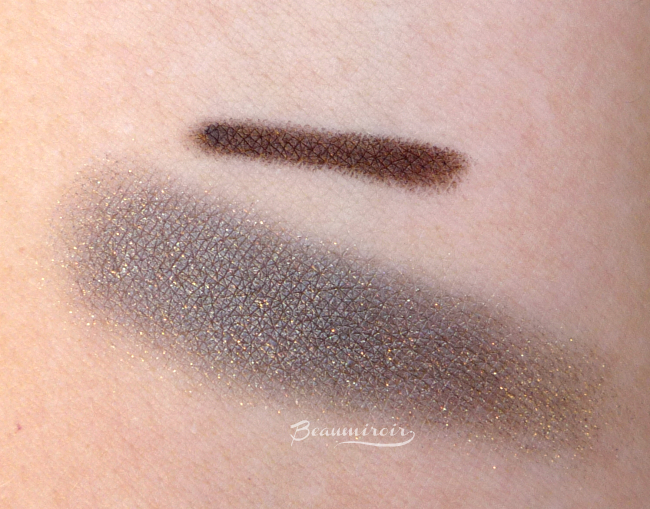 It's very soft, intense and pigmented, and it glides on the lash line effortlessly. The downside of that glorious creaminess is that it needs to be sharpened all the time to keep the application precise enough: I have to sharpen it after applying to one eye and before starting the other. It doesn't look quite as intense on the waterline, where it applies more semi-sheer, but it provides an interesting sheen. The eyeshadow is a limited edition formula, and The Huntress shade is a mesmerizing byzantine bronze with antique gold reflections. I was a little surprised by the fact that it doesn't translate into fully opaque color on the skin. It feels more like a ton of tiny bronze sparkles in a smoky, semi-sheer taupe base than a full-on metallic bronze as I expected. 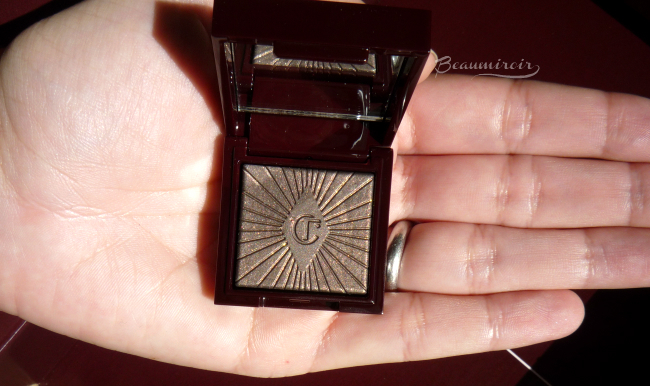 I have to say that with the way Charlotte Tilbury described this shadow, I was hoping for full intensity and high pigmentation. It still works though, but you have to pack that shadow on, and the best way to do that is with your fingertips. This is actually the application method that Charlotte recommends in this case. If you pat on the lid with your finger, then you can reach nice intensity and complete coverage. You could also smudge the eyeliner all over the lid to use as an intensifying base. The thing about this shadow is that it really comes to life under artificial lighting. 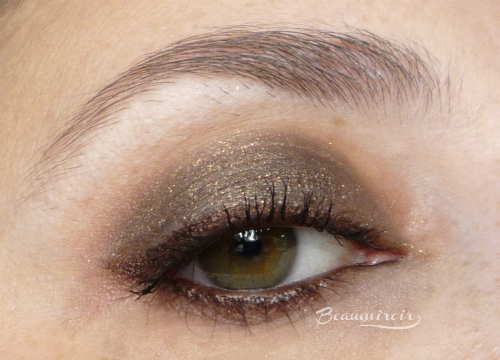 Natural sunlight washes it out a bit and reveals the sheerness of the smoky base, while artificial light plays with the reflective shimmers to create a stunning sparkly look. The brand isn't joking when they say that it's "nocturnal" and "lights up after dark"! As a consequence, this set lacks versatility and is best used for evening looks. For this purpose though, it's really amazing! 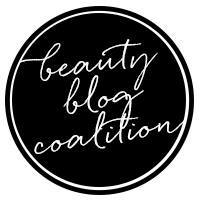 When several makeup artists surround you at Sephora and ask you what you're wearing on your eyes because it looks so beautiful, you know you have winner! Application is easy, best with a finger for the shadow as I explained, and I didn't have any fallout. 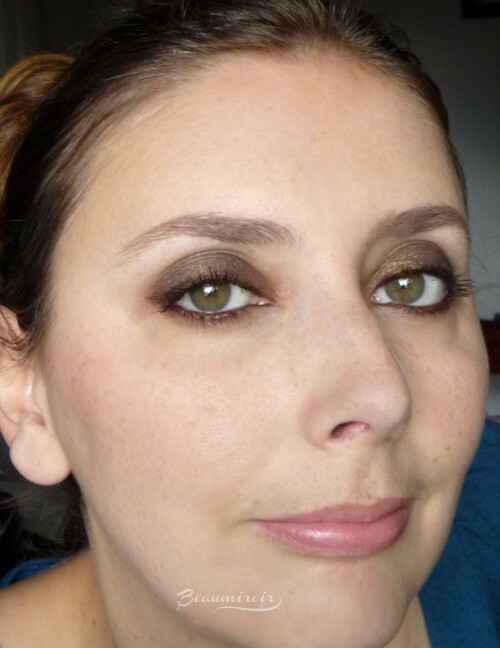 The wear time is also very good, both for the shadow and the liner - I'm actually tempted to explore the Rock 'n' Kohl liner range further now that I've experienced Amber Moon! Overall: The Nocturnal Cat Eyes To Hypnotise set was very different from what I expected in many ways, but creates such a dazzling night look that I fell in love anyway. 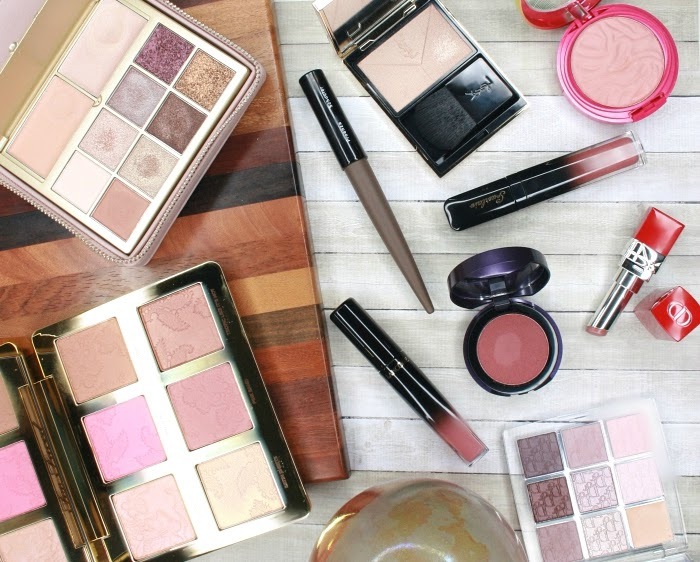 If you're looking for easy-to-use products that are party-ready, this is it! At $39, it's also surprisingly affordable for a high-end set.